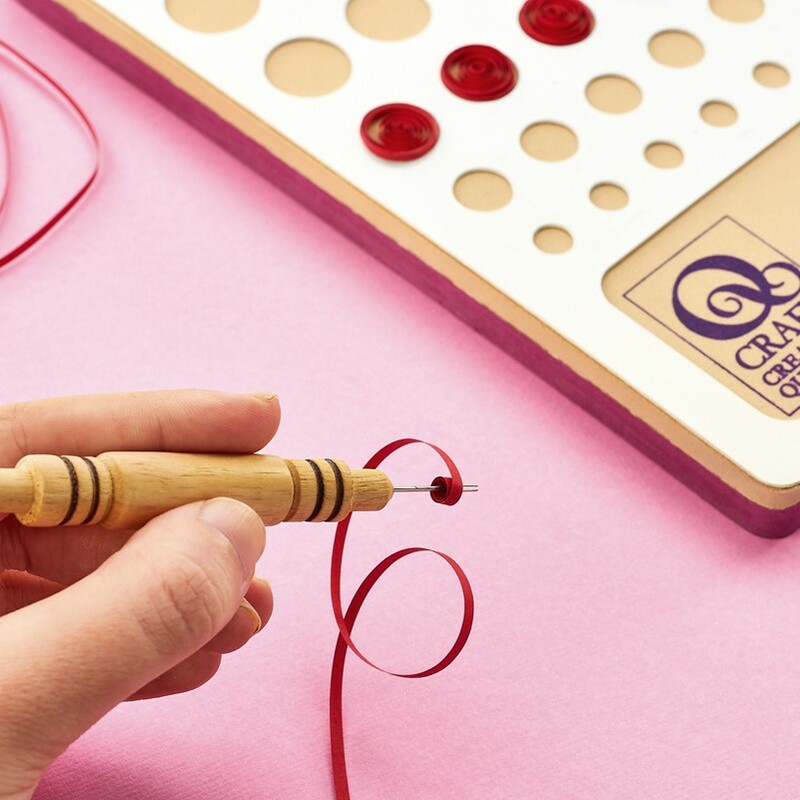 Take a 40cm length of red 2mm wide paper and, using the quilling tool, make a coil. 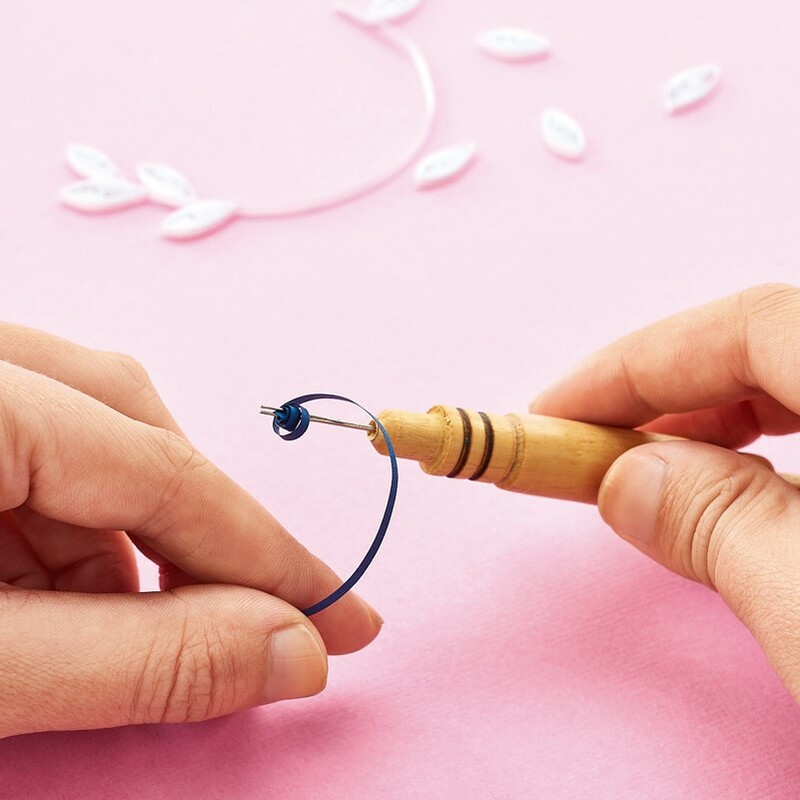 Remove the tool and place onto the quilling board, let the coil unwind to fit the circle. Glue the end in place. Make six more in this way. Remove the coils from the board carefully and pinch to teardrop shapes. 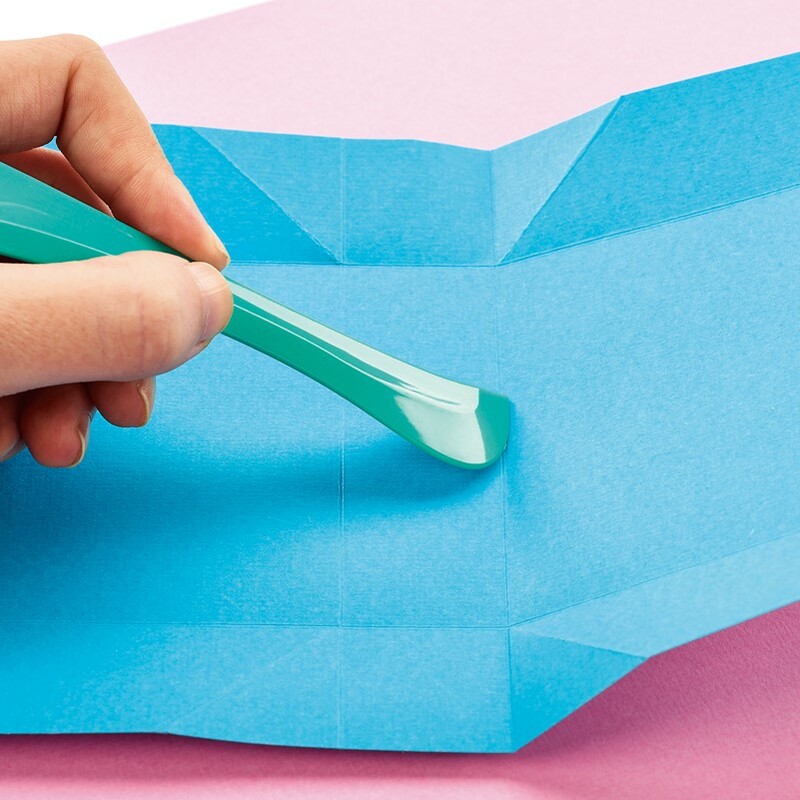 For leaves, take light blue paper 2mm wide and, with 20cm lengths, create coils. Pinch into teardrops. Glue to paper, forming a stem with leaves. Fold a 20cm length of dark blue in half and mark halfway, then coil to the fold, glue and continue. Let it unwind slightly and secure, creating a tight coil within a loose one. Cut blue card, 15cm x 22cm. Score along 3cm in from each long side. Turn and score a line 1.5cm either side of the centre line across the width. Where the lines cross, score the diagonal. Crease the folds, push the diagonal score lines inwards and form the box. Punch holes through the top and thread with ribbon. Make very small tight coils with yellow paper 2cm long and glue to the box. Stick the red petals around the yellow centre for the poinsettia flower. Attach the light blue leaves on, then the dark blue sprigs. Add your gift, then tie the top in a bow.